It is a term used to describe the complex network of state, federal, and international treaty laws, regulations, statutes, and other customary and common laws that concern the environment and the protection of natural resources. Although the source of authority for such laws stem from several sources, they are all heavily influenced by international treaties on matters such as banning the testing of environmentally destructive weapons, reducing greenhouse gas emissions, and prohibiting the fishing or hunting of endangered species. Environment and natural resources law consists of a wide range of environmental issues, such as air quality, water quality, water resources, mineral resources, fish and game, wildlife and plants, waste management, contaminant cleanup, and chemical safety. It encompasses all forms of pollution and global warming, and deals with liabilities under the Clean Air Act, Clean Water Act, Endangered Species Act, CERCLA/Super Fund, Resource Conservation and Recovery Act, National Environmental Policy Act, and many others. Understanding the laws and regulations on environmental and natural resources is crucial in both defending and avoiding potential liability and penalties that may arise from acts that could be classified as minor or unintentional violations of such laws and regulations. Violations of environment and natural resources laws are handled in a civil manner, through fines and civil damages to injured parties. Over the years, however, state laws have begun to criminalize behavior considered environmentally destructive, resulting in prison time for parties that pollute or violate property use laws in environments that are protected. What do I do if I find lead paint or asbestos? How much trouble can I get in with the Environmental Protection Agency, Alabama Department of Environmental Management, or Georgia Environmental Protection Division? What should I do if I get a notice letter from an environmental agency such as the U.S. Army Corps of Engineers, EPA, U.S. Fish & Wildlife? Why do I need to buy mitigation properties? How do I go about buying mitigation properties? Can I get a substantial tax break from restricting development on my land through a conservation easement? What are the risks? Can I get a tax break on my timberland by committing it to agricultural and conservation uses? Could I get a timber lease favorable to me is the owner of the land rather than to the timber harvester? What are key parts of a hunting lease? One of the challenges faced in environmental law is balancing the needs of industry and commerce with the protection of the environment. As a landowner, you may find that numerous unfortunate things can happen. 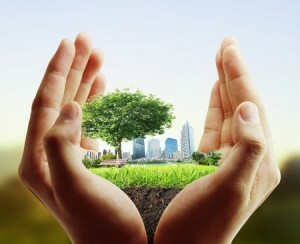 If you are in a dispute or potential dispute with an environmental agency or need to make a decision regarding the use of your land or its development, you would benefit greatly from knowledgeable and experienced legal counsel. 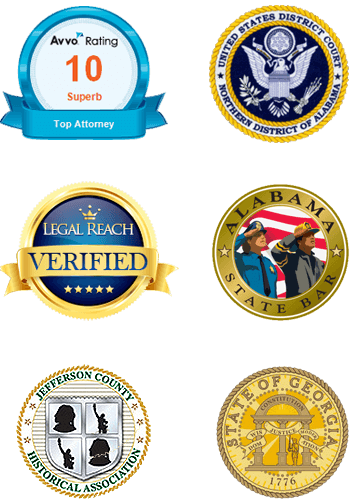 Contact James B. Griffin at (205) 502-2199 to schedule a consultation.